I’m going to start with something new, namely monthly favorites. Every month I will tell you guys what my favorite items were that month. 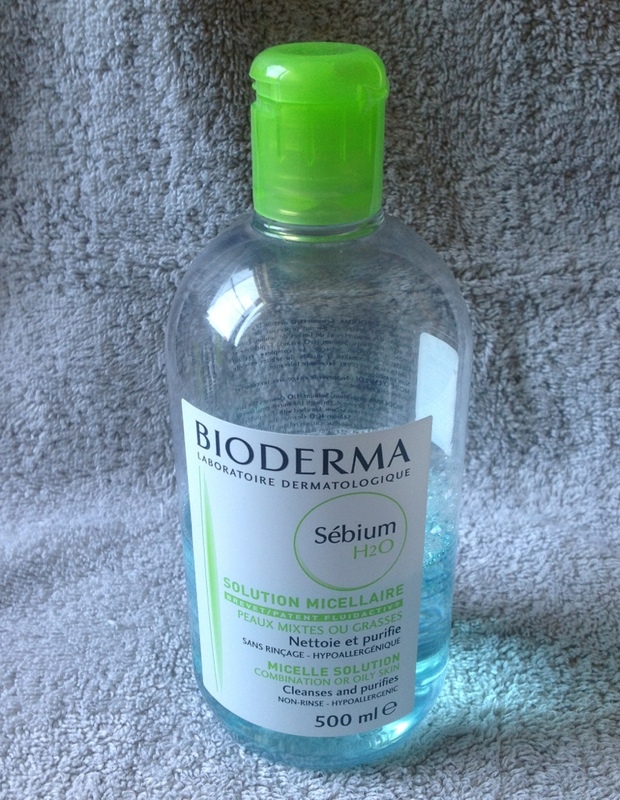 For skincare i really loved the Bioderma solution micellaire this month. I use it to cleanse my skin in the morning, and i also use it in the evening to take of any excessive make-up. It is really gentle for your skin. I have the Sébium version because it is for mixed to oily skin. 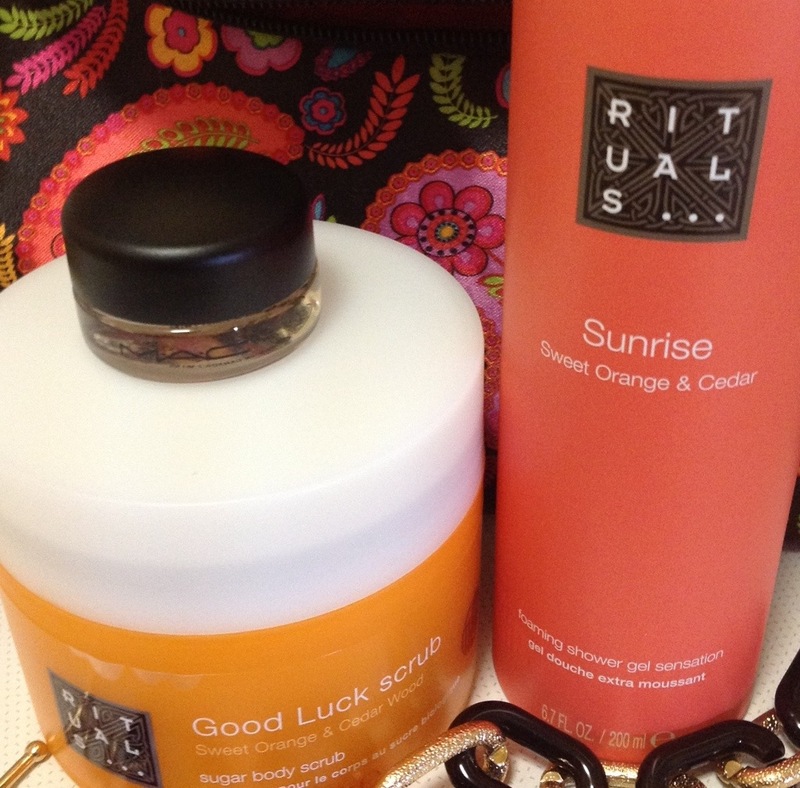 I love the Rituals Sensation shower gel in sweet orange and cedar and The good luck scrub in sweet orange and cedar wood. The scent is maybe not that summery, but it does smell so good! The scrub is a sugar body scrub and has a more coarser grain. The shower gel feels very nice. When it comes out of the container it is liquid but it sets a bit after a few seconds. The products give a spa feeling, they feel very luxurious. I have a few make-up favorites this month. The first one is the Rocket mascara from Maybelline. This mascara gives your lashes volume, length and separates them. This mascara just does everything you want in a mascara. 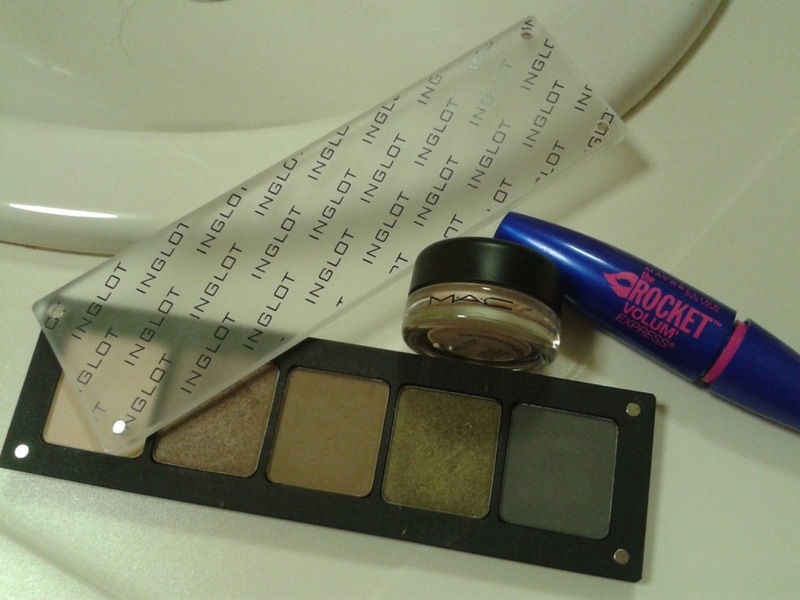 My second favorite is my Inglot palette I use one of the brown colors or the green one for a natural daily look. As a base I use my Mac paint pot in … which is my third favorite this month. A last favorite are my two Rimmel Apocalips. They have a really great color payoff and they stay on really long. My absolute favorite for this month is Essie’s Off the shoulder. It’s a bright pink color. I put it on multiple times this month and i’m sure I will use it more the rest of the summer. I like Essie polishes because they stay on for quite a while and they have really nice colors. I have 3 fashion items this month. First of all I love my Michael Kors black studded flats. I have more Michael Kors shoes and they are all amazing. They fit so well and they don’t hurt my feet at all. And they look so great. It’s a win-win situation! Second piece I loved this month is my high-low dress. It’s a black one and it has lovely flowers on it. I only got it 2 weeks ago and I already wore it three times. It’s an ideal dress to wear on a casual day as well as a more dressed-up day. 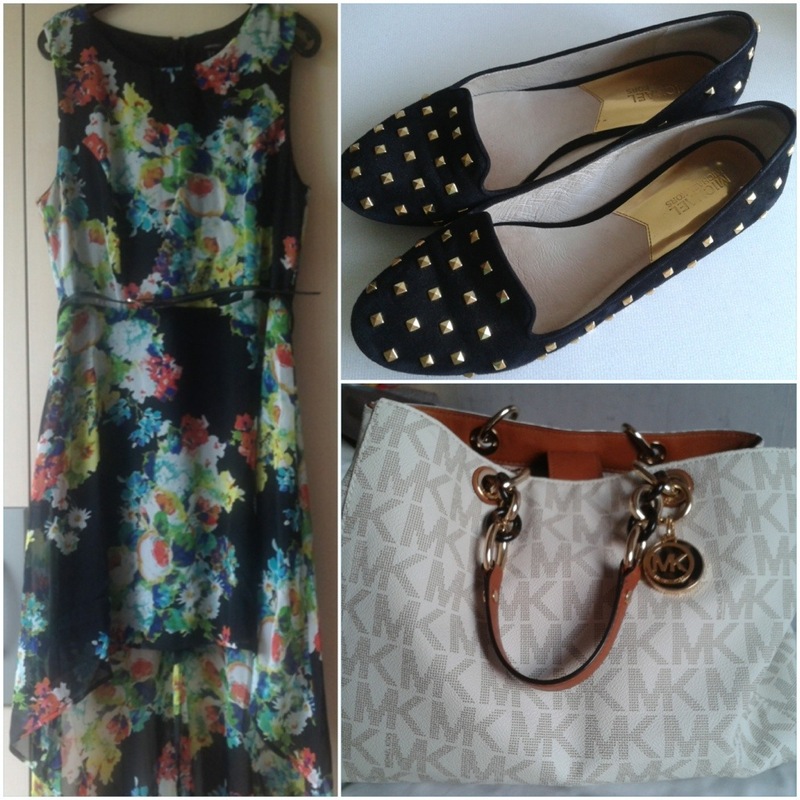 My last favorite item for this month is my Michael Kors bag. It is the large Cynthia logo satchel. It’s a big bag so I can fit al my necessities in it. I love the color and pattern for the summer. Last are some random favorites. Because it was really hot most of the days, I drank a lot of Lipton green tea. It is really refreshing when it’s hot outside (and inside). 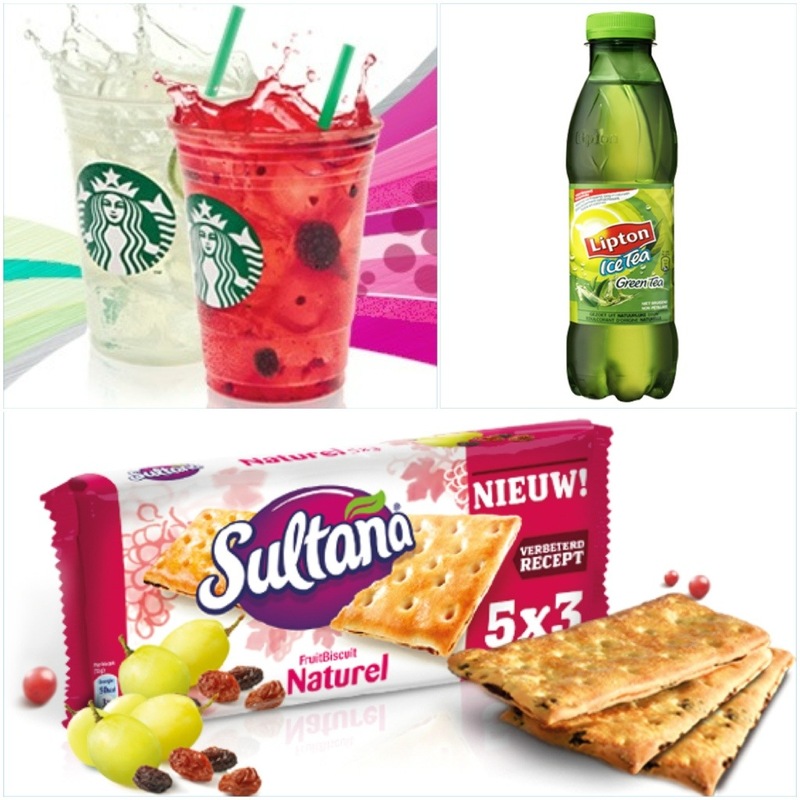 Aother refreshing drink I loved this month is the Starbucks Refresha drink. I wanted to have a healtier snack and that’s why I tried Sultana biscuits. It’s a biscuit with dried fruits in them. I tried the natural flavour, but they also cone in other flavours. I might try another flavour when i’m finished with this pack. What were your favorites in July? This entry was posted in monthly favorites and tagged body, Fashion, favorites, July, make-up, nails, skincare by missnathaliexo. Bookmark the permalink. Great beauty picks! Love those shoes. Thanks! Yes, the shoes are amazing.